I love to study words. No, I'm not a word guru. I know some who would consider me not so much a connoisseur at all, but then I hang out with some pretty brilliant people too. But I still love looking words up, seeing where they came from and what happens when they get put together. ENVISION is such a word. I use EnVISION in the title of the next GHC group I am hosting called EnVISION YOU: UNSTUCK (starts Thursday- Register today!). Vision as a noun is the faculty or state of being able to see. When it is used as a verb (which in English class we learned is an action word), it means to imagine! The dictionary defines ENVISION as "imagine as a future possibility; visualize". Also a verb- action word. Then I looked up "en" . You know, those two little letters added to the word VISION. I was surprised to learn that EN is a noun. "a unit of measurement equal to half an em." I didn't know there was an EM either. It has something to do with measuring typesetting for print. I didn't know that. Not surprising- EN is a prefix or sometimes a suffix and when added to a word on either end, EN changes the other word. Usually it turns a noun into a verb, or perhaps an adjective that, if you remember is a descriptive word. Why is this little English lesson so important? Well, EN generally means 'to cause (a person or thing- which are nouns) to be IN the place, condition, or state named by the stem word. 'to cause to be in" That sounds like a pretty cool little word. I immediately think of that one person in any group who is really good about making people on the fringe feel IN the group- like they belong. Or perhaps EN is one of those motivating kind, or ring leader that draws others to be IN the group to join the cause. I see these people as EN people 'who cause others to be IN". as if we were dropped IN to our desired outcome! All by itself, the definition of EN doesn't say anything about the future. It just has the ability to cause to be in. 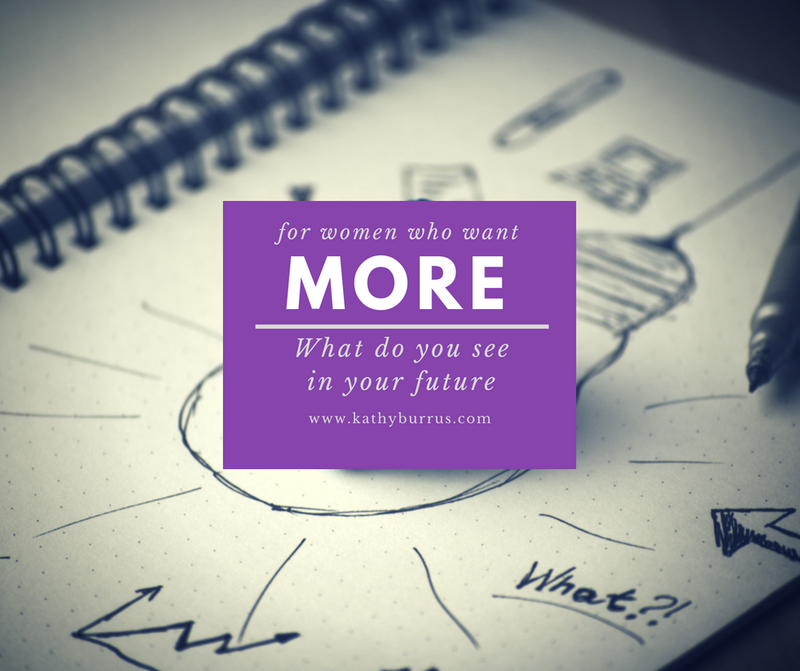 But when you cause something to be IN VISION- you can imagine/ visualize future possibilities. Now is it just me or do you find that amazing too! Well, there are times we create this VISION for what we want for our family, or our career or our LIFE! EN picks us up from our hum-drum life and drops us IN to our VISION. Now not only to we SEE the VISION we have created but we can visualize the future possibilities that come from us doing this important thing. We can see the outcome more effectively so that we actually feel what it will feel like when it is done. With great clarity, we know what we need to do next and this time we will make this happen! Amazing! I know- I heard that thought! I thought of that too at first. What about all those Stuck places! EN didn't do anything with them. You are right! But EN doesn't have to. All EN was made to do was to cause us to be IN. But when we let EN do her job, we can visualize the future possibilities. We can SEE MORE. When we get clear on what we are supposed to be doing, we grow willing to do the hard stuff to overcome the STUCK places. We SEE what it looks like to actually follow through on our VISION. AND we SEE what we need to do to work out our STUCK places. We just need to be IN the VISION in order to do it. Because when God gives us this VISION, he also gives us the skills, abilities, passions that we need to do this thing He calls us to do. More often than not, we look at what we ‘don’t” have- and therefore we are unable to make it happen. But mostly likely we have everything we need to take the next step. Sometimes we think that we need to do something grandiose or we need to live larger than life in order to make our difference in the world. But in all honesty, our vision and the way we were made to do things may feel a little ordinary to us. It is so natural it feels common. However, when we behave like we were made to behave, and serve like we were made to serve, our ordinary offerings make extraordinary differences in our world. Think of the difference EN made to our VISION. Partner you doing what you were made to do with the amazing amount of resources of people in our world -who like EN- are all able to do what they were made to do. Just visualize it! Together our family is cared for, a community is served, our world is a better place. Ok, I admit it. That story about EN is a little out of the ordinary even for me. Maybe I was inspired by Ordinary, the Nobody from the Land of Familiar that I talked about a few posts back. So let’s do this! Let’s step IN to our VISION and EnVISION what we want for our future. While we are at it we will figure out some of the STUCK places too. Ready to go! Start packing! 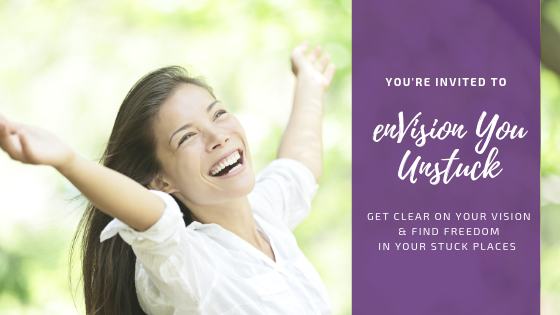 NOTE: EnVISION YOU: UNSTUCK Group starts Thursday, September 20th. Registration closes Wednesday, (9/19) at 5:00pm. Reserve your spot today! Newer PostWill I ever be HER? Older PostThank you Jeff Goins!